It’s been a while since I posted any food stuff. I got side tracked. Things evolved. I still cook, I haven’t completely given over to take out boxes………. I’m still on my paleo journey…. Here are some dishes that I have done recently. In no particular order of yumminess. So this is a favourite at the moment. I love brussels and as it’s getting cold outside they are a perfect accompaniment to almost anything. put in oven at 380 for about 40 mins, stirring occasionally, the fruit sweetens the brussels and they cook in the bacon fat. Everything cooked in bacon fat is good right? They’re awesome cold the next day too! 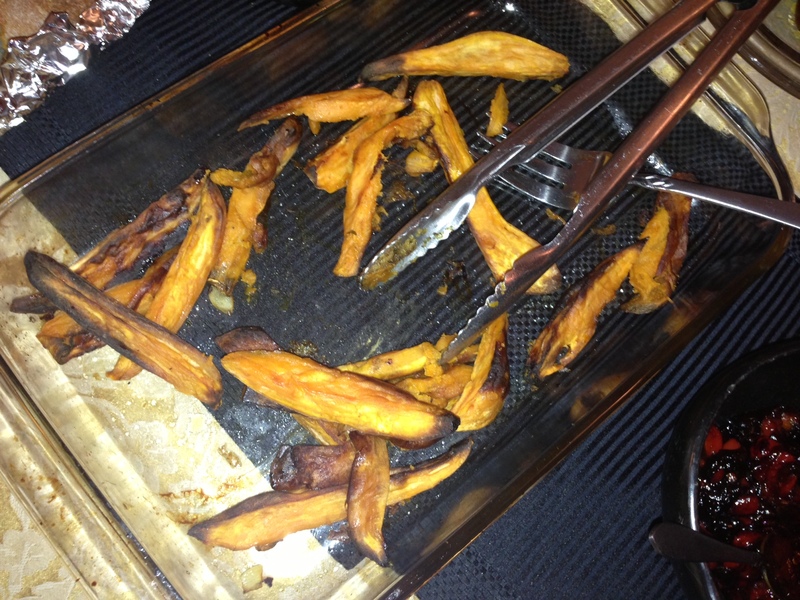 Sweet potato has become a staple in this house, The King hates potatoes anyway, something about being Irish… I don’t know. I don’t eat them because they’re technically not paleo…although sometimes I will cook them. But sweet potato is our go to roaster right now. I sometimes make them as oven fries with parsnip, which the kids love, other times I cut the chunks bigger, so they are most roasted veges. Ok so by the time I remembered to take a photo I’d already served most of them up but they still look yummy. I just stay out of the way and man the steak alarm (smoke detector) with the billiard que.. He never fails to set the thing off. I swear no one will even flinch when the detector goes off for real, not even the dog..The only down side is the mess. 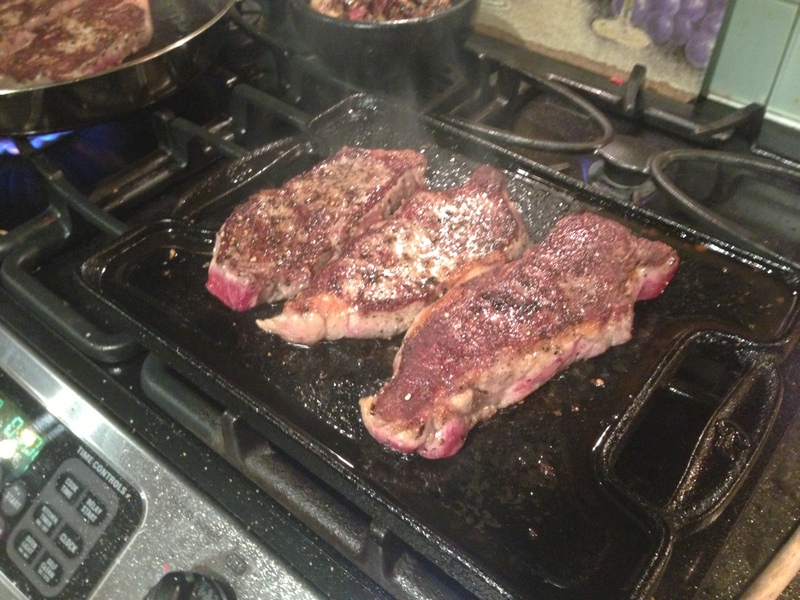 The grease that cooking steak produces is insane and naturally it’s MY job to clean up…. But I don’t have to cook so I’ll take it. And here’s what it all looks like together on a plate…. Paleo ain’t so bad. When people ask what we eat if not grains…… well here’s your answer. 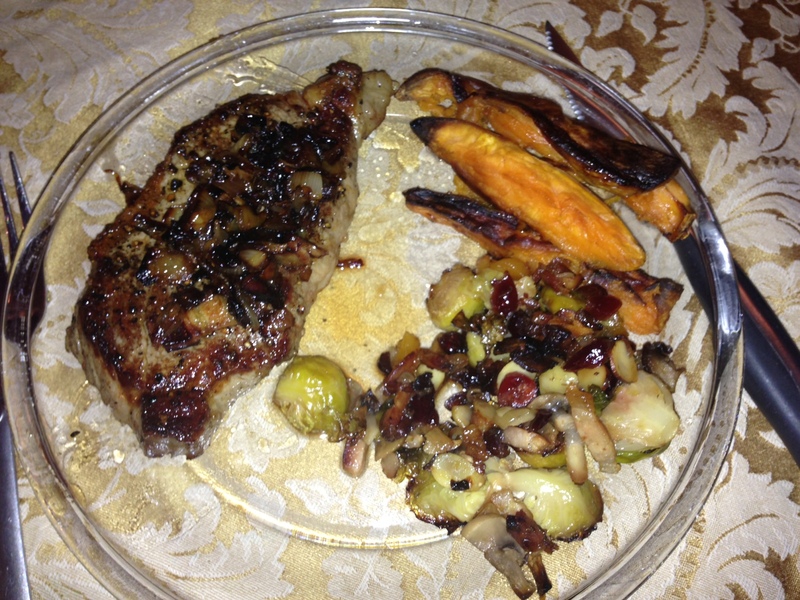 I love sweet potatoes and roasted brussels. They’re both staples here, too. Totally making the brussels sprouts! My family hates these so it’s almost like masturbating to cook them, but with a recipe like that, I can’t help myself! 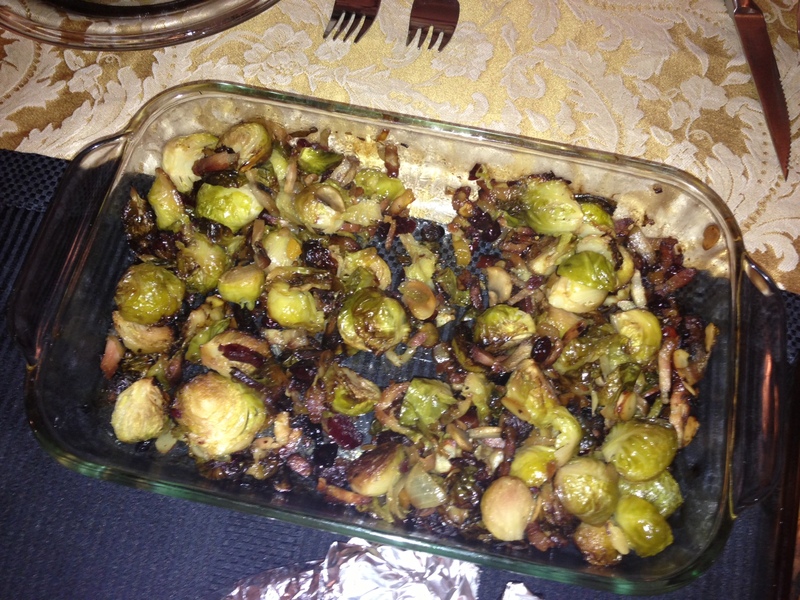 Surprisingly, but kids don’t mind brussel sprouts. How’s the Paleo thing going? I just looked it up to see what you can eat and not eat. No grains or dairy would be really hard for me – I could live on cereal! It’s surprisingly easy.I love it. I do have a small amount of milk for my coffee but very little and it’s really just foam.